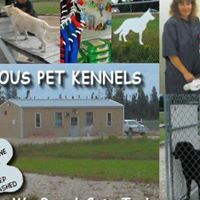 The Pas Precious Pet Kennels are having a fundraising dance at the Guy Hall on October 12th from 9PM to 1AM. The dance is called Fur-Ever 50’s to 80’s Dancin Fur Dogs and all proceeds will be going towards The Pas Precious Pet Kennels Spay Neuter Fund. Tickets are 15 dollars each and they can be purchased at The Pas Precious Pet Kennels.